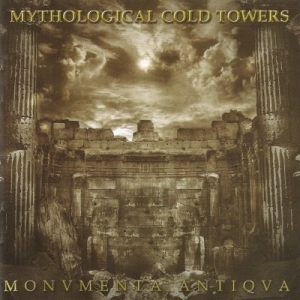 More atmosphere than aggression, Mythological Cold Towers create a melancholy, nostalgic mood. Ah, Brazil!! In the late '90s to the mid-'00s, its Doom scene was sometimes considered as one of the strongest contenders for the Finnish one. Bands like Serpent Rise, Abske Fides, De Profvndis Clamati, Through The Valley and Mythological Cold Towers were ruling the twilight. Nowadays, a few of those bands are still active (albeit barely for some of them), some new names have arisen (like HellLight) and some old names sometimes awake from their slumber to let us know that they are not dead but just dreaming. Such is the case with Mythological Cold Towers, whose first album back in 1996 was nothing less than a classic of the Doom/Death genre. However, the following years saw the band going forth into more curious territories, exploring Gothic Metal then Atmospheric Doom with various results, and slumbering for around 5 years between each album. 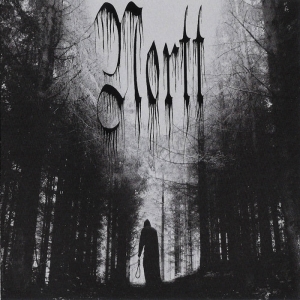 Their previous effort 'Immemorial' was a well-tuned yet unimpressive album of Atmospheric Doom. The kind of record where you would have troubles in finding anything bad to say about it, yet of the kind that was easily forgotten once it has left your hi-fi. So, I wasn't expecting something much more than 'Immemorial' from 'Monvmenta Antiqva'. As usual, the band show its love for the past in the song titles. This time, as the album title implies, they're dealing with an antique ruins theme. Come to think about it, it's really a finely suited theme for a Doom band, and one that has curiously been quite avoided so far by the vast majority of the bands in the genre. Musically, Mythological Cold Towers expands on the Atmospheric Doom style present on 'Immemorial', but mix it with a batch of their old Doom/Death sound. Another interesting point is the fact that, still following an approach also started on 'Immemorial', the band has chosen to deliver rather short songs. Now by short I mean around the 5 to 7 minutes mark, like on their first album, while they'd accustomed me more to the 8 to 13 mark in all their albums between 1996 and 2011. This helps the songs a lot in avoiding the boredom that could set in if they were longer. 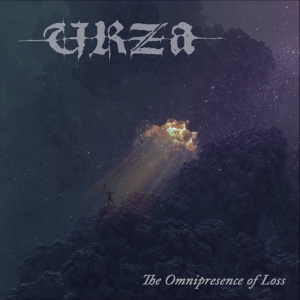 Musically, the atmospheric parts are flowing like the water of a calm stream, soothing your spirit and providing the necessary state of mind much needed when one wants to evoke nostalgia, reminiscent in some ways of the Greek Atmospheric Death metal scene of the '90s (there's more than one song on 'Monvmenta Antiqva' that gives a nod to the early works of Septic Flesh or On Thorns I Lay). The use of clean parts (like on 'Vetvstvs', with both guitars and vocals) helps in fleshing the music, while the very melodic solo parts show a band not afraid to try to break a part of their mold. 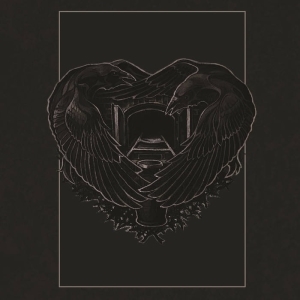 This leaves the music oscillating between some Gothic-inclined parts à la early Yearning and more classic Doom/Death stuff like early to mid-period Anathema. This is an album to relax with, to enjoy a beautiful landscape and to let your spirit wander in ages past. As curious as it may sound, despite being quite heavy and melancholic, I had trouble being feeling really DOOMED here: neither despair nor utter sorrow, more like a thin veil of sadness and a longing for years past. As enjoyable as it sounds, 'Monvmenta Antiqva' still suffers from a major flaw: its redundancy. While each song is good (even great sometimes) on its own, the album as a whole sounds as if each part was done on strictly the same canvas. Which in turn sometimes gives the feeling of listening to the same song played 3 times in a row. Considering that these are rather short, one can wonder why the band didn't simply do a smaller number of longer songs instead. Despite this, Mythological Cold Towers have still made an album that is worthy of your time. Atmospheric Doom is rare these days, and well done Atmospheric Doom even more so. To find a band capable of doing it well and with an original concept are, to me, reasons valid enough to forget the small mistakes found here and there. Visit the Mythological Cold Towers bandpage.